Good Morning. Enjoy God's blessings. He has been so good to you. Good Morning. 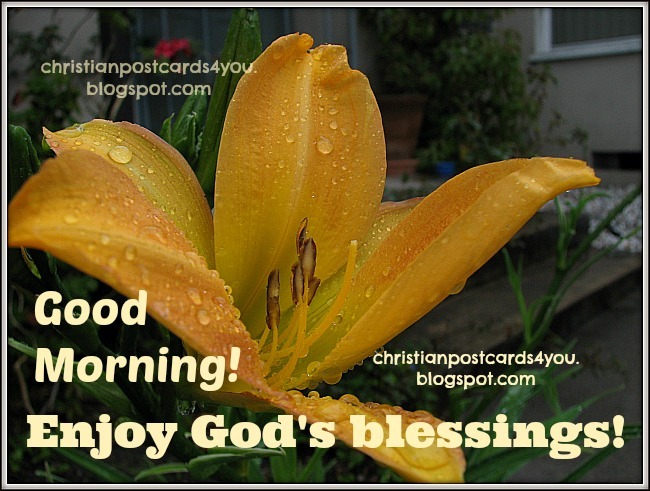 Enjoy God's blessings. Christian postcards, free cards for friends to share by facebook, twitter. happy day.